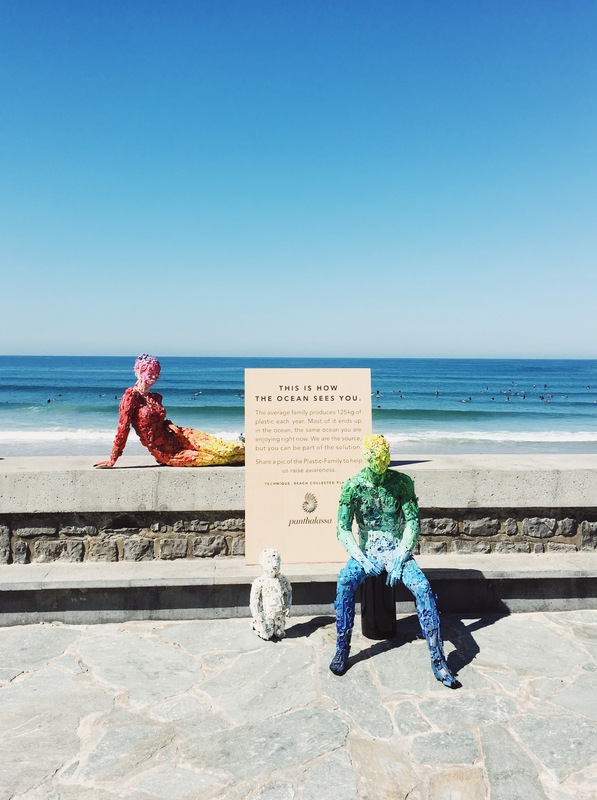 To celebrate World CleanUp Day, the Plastic Family made their way to the Côte des Basques in Biarritz, France. 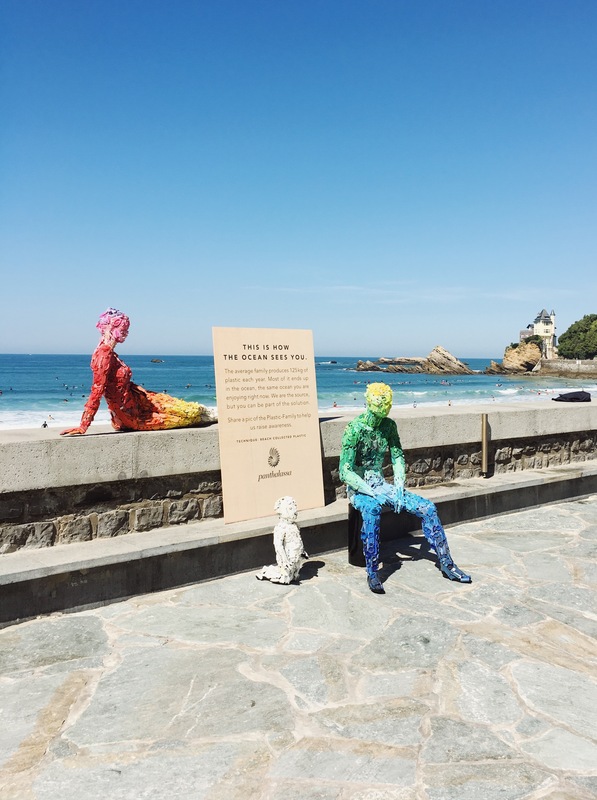 Born at the Blue Factory in San Sebastian, the Plastic Family made their way to the Côte des Basques in Biarritz. 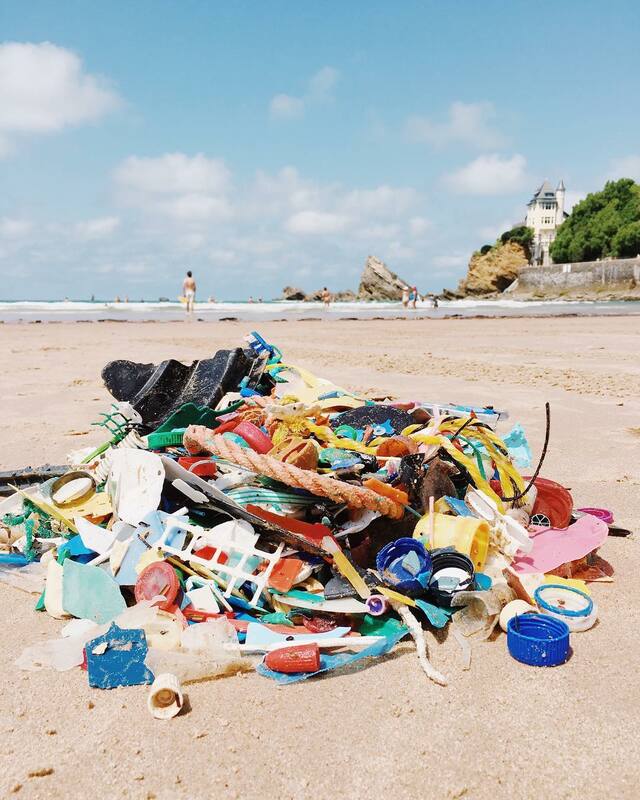 To celebrate World CleanUp Day, the colorful family of three visited the French beach town on September, 15. 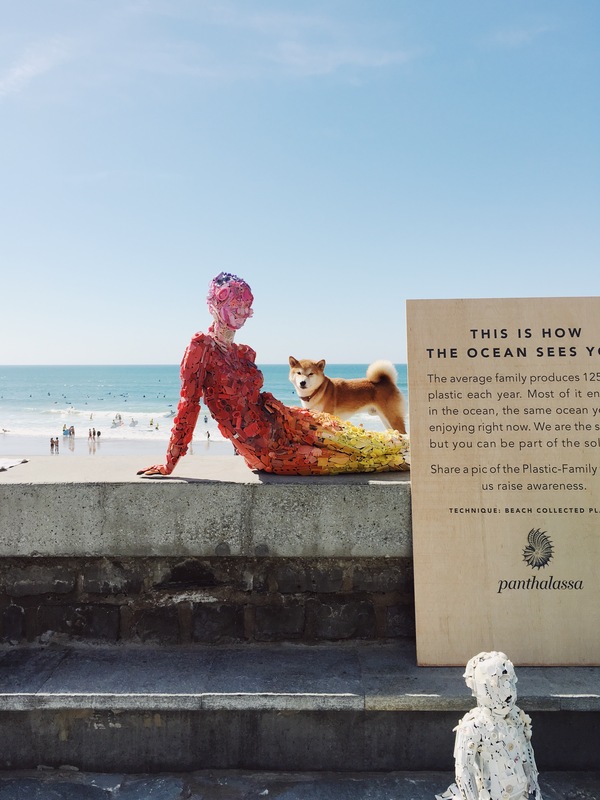 Using the plastic found on the beaches of the Basque Country (Spain & France), Panthalassa decided to ‘dress’ the family in order to help raise awareness about the plastic problem the ocean is facing. 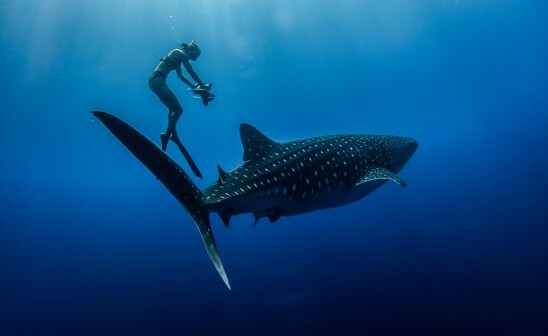 Over the years, throughout the « Sea and Gather » initiative, Rebecca Kudela, a member of the Panthalassa Society, has been proving her obsession for beach-combing and her passion for design. 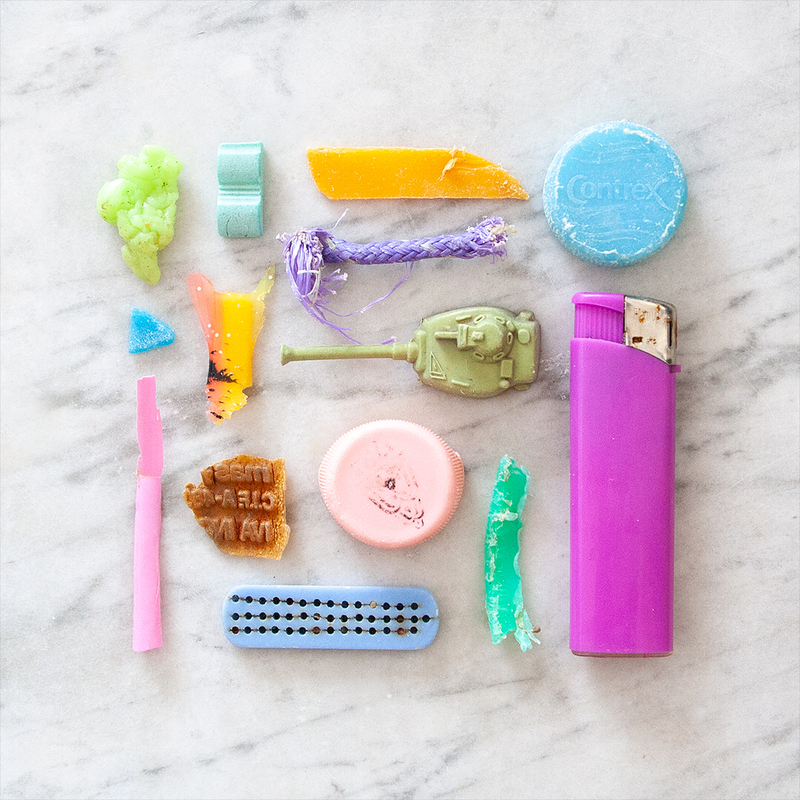 Her work was a key inspiration for the idea of using art and creativity to encourage people to consume and use less single-use plastics. As part of a global environmental movement, the Plastic Family art installation will be travelling around Europe to save our ocean’s biggest threat. 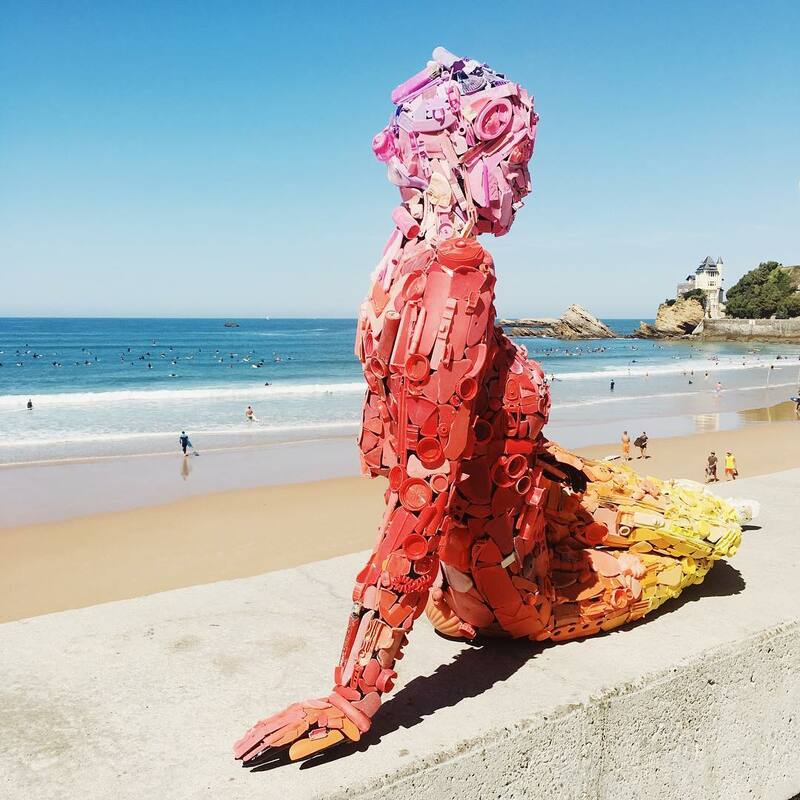 Thanks to everyone who stopped by to see the Plastic Family in Biarritz! Stay tuned to find out where the family is heading next!